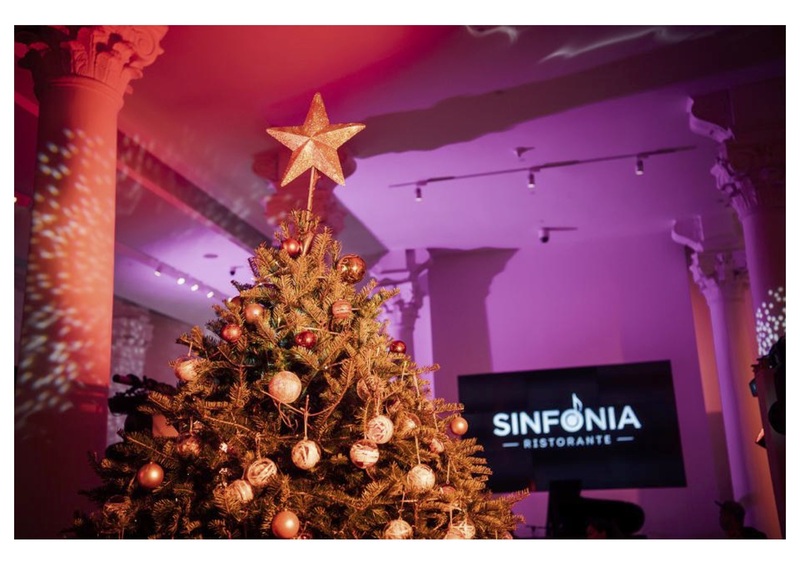 A Christmas tree stood statuesque on a red carpet on the marble floor of Sinfonia restaurant, elegantly festooned in glittering baubles. Long tables surrounded it, decorated with flowers in a mix of soothing pastels and foliage, and artfully arranged alongside aged-looking music scripts, pine cones and gilded miniature musical instruments. Flanked by soaring Corinthian columns bathed in purple hues, the room was set for a night of elegant festivities with personalised wealth management service HSBC Jade. The night’s dinner, themed ‘Symphony of Heritage’, was the fifth instalment in Origins of Luxury, an exclusive event series championed by HSBC Jade. This series gives its high-net-worth clientele a night’s access to luxury brands championing untold stories and the rarely seen — think limited edition vintage sports cars, unique timepieces and priceless art. Befitting the venue of the iconic Victoria Concert Hall, the Christmas appreciation dinner merged the themes of music and history. As guests took their seats, uniformed drummers inaugurated the evening with a rousing performance and Head of Retail Banking & Wealth Management, HSBC Bank (Singapore), Mr Anurag Mathur, gave a toast to celebrate the festive season and year ahead. Revered for being the gateway to a wealth of extraordinary and exclusive experiences, HSBC Jade selected four partners that embodied the night’s theme. Britain’s oldest wine and spirit merchant Berry Bros. & Rudd treated guests to exclusive tastings of some of its finest and rare vintages including the Grand Cru Burgundy, Grand Cru Classe Bordeaux and a single vintage, single malt 19 Year Old whisky bottled from a rescued single cask. The brand’s illustrious history dates back to 1698, and is so well respected that it supplies to the British Royal family, and boasts two Royal Warrants. Guests were also given a sneak peek into the brand’s valuable archives — crucially, a key historic document of a typed letter found the day after Titanic sank that was sent from the White Star Line to ‘Berry Bros. & Co’ detailing the loss of 69 cases of the firm’s wines and spirits onboard the ship. Continuing the narrative of music and heritage was Singapore Musical Box Museum’s showcase of antiques from the 19th century. Museum owner and private collector Naoto Orui regaled guests with tales of the history of musical boxes, and Singapore’s crucial role in its development in the region. The guests were charmed by the beguiling tunes and complex mechanisms. Also on display were the timeless jewellery from Revival Jewels. Rarely seen in Southeast Asia, these antique jewels span different eras with each collection boasting remarkable style and masterful craftsmanship. Stunning baubles by Van Cleef & Arpels, Boucheron and Cartier aside, the works of Fulco di Verdura were also on exhibit. Verdura catapulted his career by redesigning Coco Chanel’s old jewellery before moving on to becoming the maison’s Head Designer. A night titled ‘Symphony of Heritage’ would not be complete without musical performances. Music prodigy Jessie Meng, the youngest grand prize winner of the 4th Steinway Youth Piano Competition, dazzled guests with her recital of Danzas Argentinas by Ginastera during dinner. As an uplifting end to the night, she was joined on stage by the ​Singapore Children’s and Youth Show Choir. Together, the girls gave an adorable performance of Silent Night that left guests spellbound. Amusing guests in between courses was a roving magician, who entertained with card and rope tricks. To end the evening, guests picked edible baubles by local dessert extraordinaire Janice Wong from the Christmas tree, and left the soiree with personalised tags to complement the leather wine carriers in their goodie bags. Not just a sophisticated start to the festive season, the evening was another testament to HSBC Jade’s commitment to exclusivity, discovery and an appreciation for the finer things in life.